It's hard to fault the Masters At Work productions of the early nineties. The boys had loads of ideas, great technical skills and a feel for the dancefloor that just blew everyone else out of the water. Even more surprising was their versatility, being able to handle dubs, vocals, jazz influences, jeep beats... all this through their experience as DJs and heritage as latino Americans. The collaborations with Tito Puente were also remarkable for radical reworks that made the tracks unrecognisable whilst still keeping their trademark hooks. 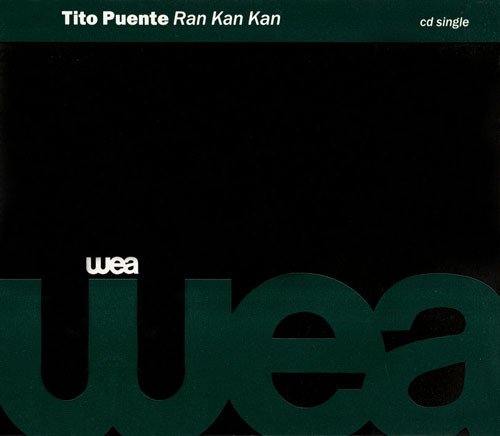 Personally, I would love to find Para Los Rumberos on CD (only the Puente's Vibe mix was on the first of their BBE compilations), but in the meantime I find it hard to believe that Ran Kan Kan has been overlooked on the blogs. This of one the first tracks by MAW that I really loved, and it seems that no-one has posted the CD-single yet, although a vinyl rip was available on the Masters at Work Forever blog, now - ironically - dormant (and much missed). So for those who like their vintage MAW in pristine quality, click here for the five mixes of Ran Kan Kan, including the absolutely storming original! (46MB .rar file).